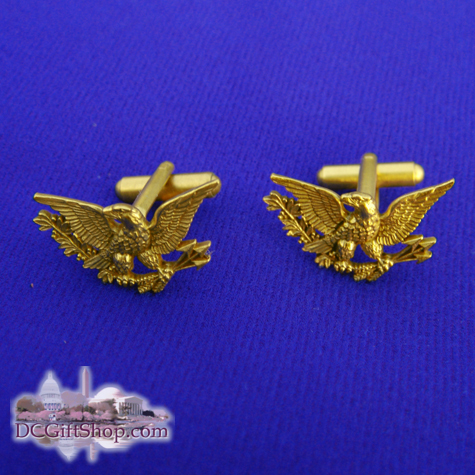 Gold Eagle Cufflinks: This unique jewelry makes for fine presidential gifts for any businessmen and are the perfect Father's Day gift. The pewter item is antiqued with 24k gold electroplates. The American Eagle reproduced on this piece of men's jewelry was featured on a set of cut and engraved glassware. The presidential cuff links design was created for the White House during President Abraham Lincoln's administration.